When it comes to a well rounded three-row family SUV, it is hard to beat the Toyota Highlander. It has just the right size for most families, it isn’t too difficult to maneuver, and the interiors offer sufficient space for both people and cargo. 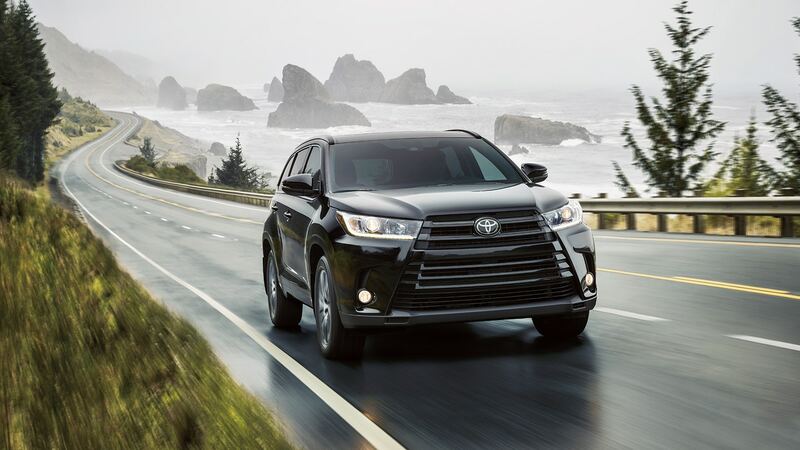 For an ideal blend of comfort, fuel efficiency, value, and performance, the Toyota Highlander is a favorite and one of the most popular cars in the segment. The 2017 Highlander is a three-row, eight-seater crossover available in LE, LE Plus, XLE, SE, Limited and Limited Platinum trim levels. This model had a number of changes since the previous versions, including the upgraded styling, pronounced grille and redesigned LED taillights, a new and more powerful V6 engine along with an eight-speed transmission and an automatic stop-start system. New features also include the Toyota Safety Sense technology suite that is available on every trim. The Highlander has best-in-class drive quality. The V6 engine is powerful, and the new eight-speed automatic transmission is smooth and responsive. The braking is superb with good fade resistance, the steering is intuitive, and despite the size of the vehicle, it feels light and is easy to drive. The off-roading capabilities of the Highlander are also decent. As far as comfort is concerned, the seats, ride comfort, and utterly silent cabin are features that you usually find in top-notch SUVs, and the Highlander is no exception. You get heated leather front seats, quiet and smooth ride on all trim levels. The interiors are made of high-quality materials that last longer. There is plenty of room for adult passengers of all sizes, various seat adjustments, including power-adjustable thigh support, and sufficient seat and telescoping-wheel travel for tall drivers. The third row can be difficult to reach because of the narrow passage of the second row, and some of the controls are a little out of reach. The Highlander is impressive in the technology front too, be it audio and connectivity, safety, or convenience. Even though the 8-inch touchscreen isn’t the most attractive or feature-rich, it is efficient and easy to use. With the Toyota Safety Sense™, you get lane departure alert with steering assist, dynamic radar cruise control, pre-collision system with pedestrian detection, and automatic high beams. Additionally, you also get advanced airbag system, tire pressure monitor system, and vehicle stability control. As a power packed family SUV, the Toyota Highlander is an ideal pick for a small or growing family. Let New York Autobrokers serving the Suffolk County and NYC area use their 20 years of experience to get you the best lease payments or price on any car make or model of your choice. Call us at 631-446-4455 for more information!